Steven K. Grinspoon is Professor of Medicine at Harvard Medical School, Director of the MGH Program in Nutritional Metabolism, and Co-Director of the Nutrition Obesity Research Center at Harvard. Dr. Grinspoon earned his medical degree from the University of Rochester. He then completed his Internal Medicine Residency and Chief Resident year at Columbia Presbyterian Hospital/Columbia University and his Endocrinology Fellowship at Massachusetts General Hospital/Harvard University. 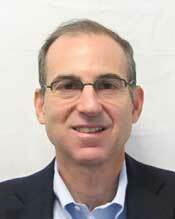 Dr. Grinspoon’s research career has been focused on mechanisms of metabolic and cardiovascular complications in HIV. He has led NIH RO1-funded studies investigating HIV-infected patients for over 20 years and has numerous peer-reviewed publications. Work from his lab has suggested an increased rate of myocardial infarction (heart attacks) in HIV-infected patients and highlighted the relative contributions of traditional and non-traditional risk factors. Additionally, his work on strategies to improve insulin resistance and visceral fat accumulation among HIV-infected patients led to the first FDA-approved therapy for lipodystrophy. 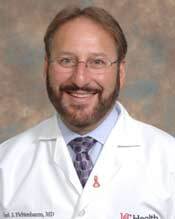 Dr. Grinspoon is a member of the American Society for Clinical Investigation and the Association of American Physicians and received the 2014 Edward H. Ahrens Award for his outstanding contributions to Translational Science and Patient Oriented research from the Association of Clinical and Translational Sciences. He has also chaired the American Heart Association State of the Science Conference on Cardiovascular Disease in HIV-infected patients. Dr. Grinspoon is the Co-Principal Investigator of the Clinical Coordinating Center for REPRIEVE, Chair of the REPRIEVE protocol, and Chair of the Operational Leadership Committee. Pamela S. Douglas is the Ursula Geller Professor of Research in Cardiovascular Diseases in the Department of Medicine at the Duke University and Director of the Multimodality Imaging Program at the DCRI. Dr. Douglas earned her medical degree from Medical College of Virginia, Virginia Commonweath University School of Medicine. She then completed her Internal Medicine Residency and Cardiology Fellowship at the Hospital of the University of Pennsylvania. Dr. Douglas’ research career has been focused on cardiovascular diagnostic strategies, specifically, those involving cardiovascular imaging. Her over 30 years of experience includes leading a variety of multicenter government and industry funded clinical trials and outcomes research studies and she has numerous peer reviewed publications. Dr. Douglas is the Principal Investigator for the ongoing PROMISE trial, an NHLBI-funded pragmatic trial of cardiovascular diagnostic strategies in 10,000 subjects, and for ImageGuide, the first ever US imaging registry. She is also renowned for her work in improving the quality of imaging data from clinical trials and registries through development and dissemination of national standards for imaging informatics and core lab best practices. Her wealth of experience includes past service as the President of the American College of Cardiology, President of the American Society of Echocardiography, and Chief of Cardiology at both the University of Wisconsin and Duke University. Dr. Douglas is the Co-Principal Investigator of the Clinical Coordinating Center for REPRIEVE, Co-Chair of the REPRIEVE protocol, and Co-Chair of the Clinical Events Adjudication Committee, working with the TIMI group. Turner Overton is Associate Professor of Medicine at the University of Alabama School of Medicine and Medical Director of the University of Alabama 1917 HIV Clinic. Dr. Overton earned his medical degree at the University of Tennessee College of Medicine. He then completed his Internal Medicine Residency at University of Alabama Hospitals and his Infectious Diseases Fellowship at Barnes-Jewish Hospital and Washington University. Dr. Overton’s area of research involves metabolic complications of HIV, including osteoporosis, diabetes, hyperlipidemia, and cardiovascular disease and he has numerous peer-reviewed publications in this area. He also serves as a member of the End Organ Disease/Inflammation Transformative Science Group for the AIDS Clinical Trials Group and has led multiple clinical trials. Dr. Overton is Co-Chair of the REPRIEVE protocol and Chair of the Protocol Writing and Implementation Committee. Carl Fichtenbaum is Professor of Clinical Medicine and Associate Chairman at the Department of Medicine for Translational Research at the University of Cincinnati College of Medicine. 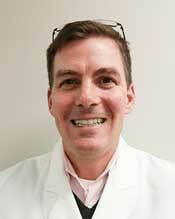 Dr. Fichtenbaum earned his medical degree from the University of Missouri School of Medicine. He then completed his Internal Medicine Residency and Chief Resident year at Bridgeport Hospital/Yale University, his Infectious Diseases Fellowship at Washington University, and his AIDS Fellowship at Yale University. Dr. Fichtenbaum’s research has focused on the clinical investigation of HIV infection. Over the past fifteen years his research has been focused on dyslipidemia and cardiovascular disease in persons with HIV infection. As a Principal Investigator of the AIDS Clinical Trials Group, he has led multiple key clinical trials pertaining to the health of people with HIV and produced numerous peer-reviewed publications including pioneering work on statin interactions with antiretroviral therapy. 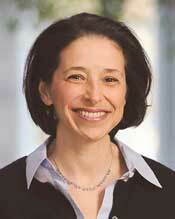 Dr. Fichtenbaum is Vice-Chair of the REPRIEVE protocol and Chair of the Site Selection Committee. Judith A. Aberg is Professor of Medicine and Chief of the Division of Infectious Diseases and also serves as the Director of the Infectious Diseases Clinical and Translational Research Center at the Icahn School of Medicine at Mount Sinai, New York, NY. 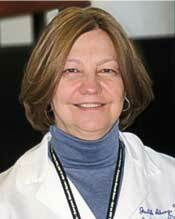 Dr. Aberg earned her medical degree from the Pennsylvania State College of Medicine. She then completed her Internal Medicine Residency and Chief Resident year at the Cleveland Clinic and her Infectious Disease Fellowship at Washington University. Dr. Aberg’s research career has been focused on HIV-related opportunistic infections, vaccine response, and ways in which inflammation contributes to the development of medical co-morbidities among individuals aging with HIV. She has numerous peer reviewed publications and has participated in over 100 clinical trials. Dr. Aberg has been instrumental in developing state and national guidelines for the care of HIV infected persons and serves on panels for the NY State Department of Health, International Antiviral Society-USA and the Department of Health and Human Services. She was the Chair of the HIV Medicine Association, an organization representing over 5000 HIV providers advocating for policies to ensure a comprehensive response to the AIDS pandemic informed by science and social justice. She has recently been elected as the HIVMA representative to the Infectious Disease Society of America Board of Directors. 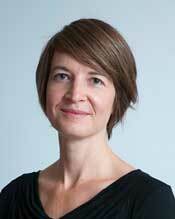 In addition, Dr. Aberg is co-Editor-in -chief for HIV Clinical Trials. Dr. Aberg is Vice-Chair of the REPRIEVE protocol. 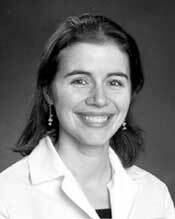 Markella V. Zanni is Assistant Professor of Medicine at Harvard Medical School. Dr. Zanni earned her medical degree from Harvard Medical School as a Soros Fellow. She then completed her Internal Medicine Residency and Chief Resident year at Brigham and Women’s Hospital/Harvard University and her Endocrinology Fellowship at Massachusetts General Hospital/Harvard University. Dr. Zanni’s research centers on inflammatory mechanisms of endocrine and cardiovascular co-morbidities among people living with HIV. She has demonstrated that HIV-infected individuals have an increased burden of vulnerable coronary atherosclerotic plaque relative to uninfected individuals. She has also highlighted ways in which HDL cholesterol function may differ in HIV. She is the author of several peer-reviewed publications and has received the Harvard Catalyst KL2 MeRIT award and the Claflin Distinguished Scholar award for her work. Dr. Zanni is Vice-Chair of the REPRIEVE protocol. Kathleen V. Fitch is a Clinical Research Nurse Practitioner in the Massachusetts General Hospital Program in Nutritional Metabolism. She earned her Master’s of Science in Nursing (Family Nurse Practitioner) at the Massachusetts General Hospital Institute of Health Professions. Ms. Fitch has organized, directed and completed several NIH R01-funded clinical research studies focusing on the assessment and treatment of metabolic complications in HIV. Her experience includes authorship of several peer reviewed manuscripts and she is an Ad Hoc reviewer for several journals. In addition to her research experience, Ms. Fitch served as a National Health Service Corps Scholar and she has worked in primary care as a nurse practitioner at the Boston Health Care for the Homeless Program. She is also a volunteer community educator at several AIDS service organizations throughout Massachusetts. Ms. Fitch is the Project Manager for the REPRIEVE Clinical Coordinating Center.